As homeowners, we all have plenty of tools and other equipment to store: lawnmowers, other garden implements and bicycles have to go somewhere. 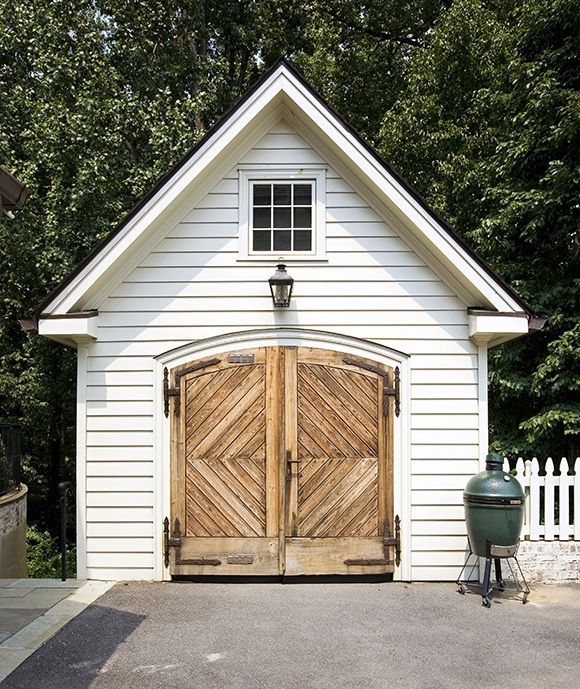 But your storage doesn’t necessarily have to be a drab little shed. Consider putting a quaint cottage on your property and add to your home’s appeal. The beautiful doors and hinges have vintage charm. What you can’t see here (see the wine cellars category) is a wine cellar tucked below the cottage.